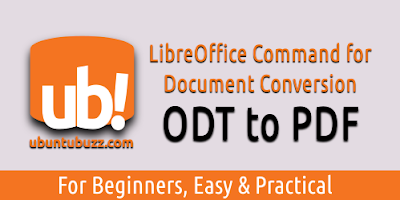 This command (soffice) is a part of LibreOffice software package to help you perform many document files manipulations (including conversion) without GUI. 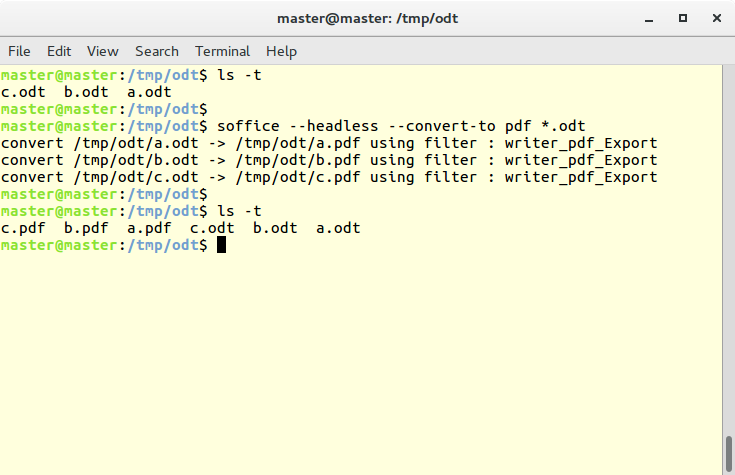 In this command example, we convert all odt to pdf files in a directory. Pay attention to the blank spaces in this command line. The sample output is shown below. And the conversion results are like in picture below. 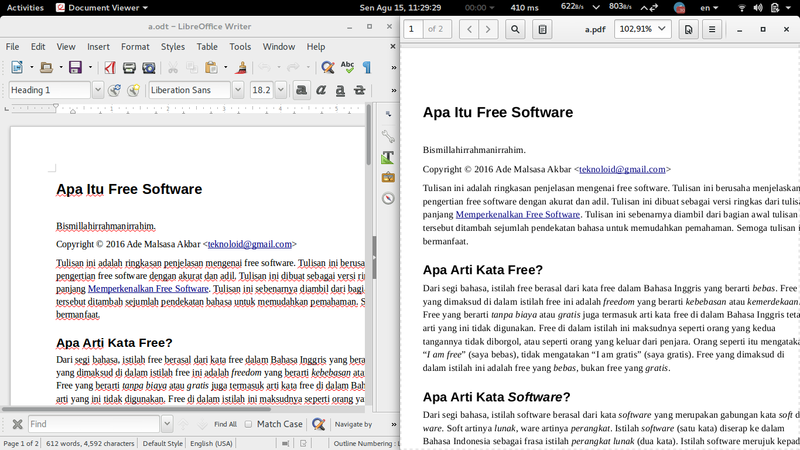 Left = odt, right = pdf.